So Blue, the Blue Caves	Photo © Ellyn B.
Greece, one of the cradles of European civilization, is located in south-eastern Europe, on the southern end of the Balkan Peninsula. It covers a land area of 50,949 square miles and has a population of about 10,9 million people. The country borders Bulgaria and Macedonia in the north, Albania in the northeast and Turkey in the west. 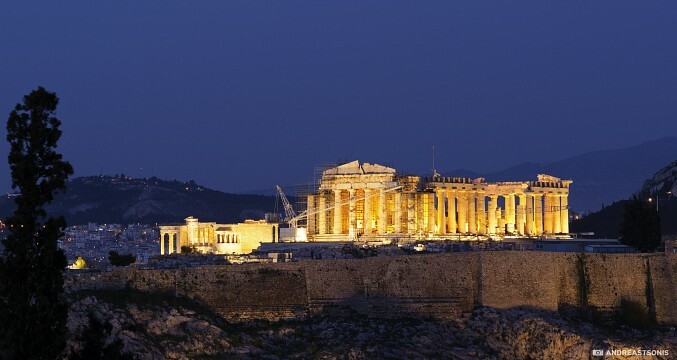 The capital is Athens, the largest city in the country with over 3.7 million people. The country consists of three main geographic areas: a large mainland at the southern end of the Balkans ; being the biggest geographic feature of the country, the Peloponnese; the peninsula south of the mainland and more than 1,400 islands scattered in the Ionian Sea and Aegean Sea; the largest of which is Crete. Athens, the country’s charming capital, combines a modern city center with the ancient beauty of the Parthenon and the Temple of Athena, overlooking the Saronic Gulf . 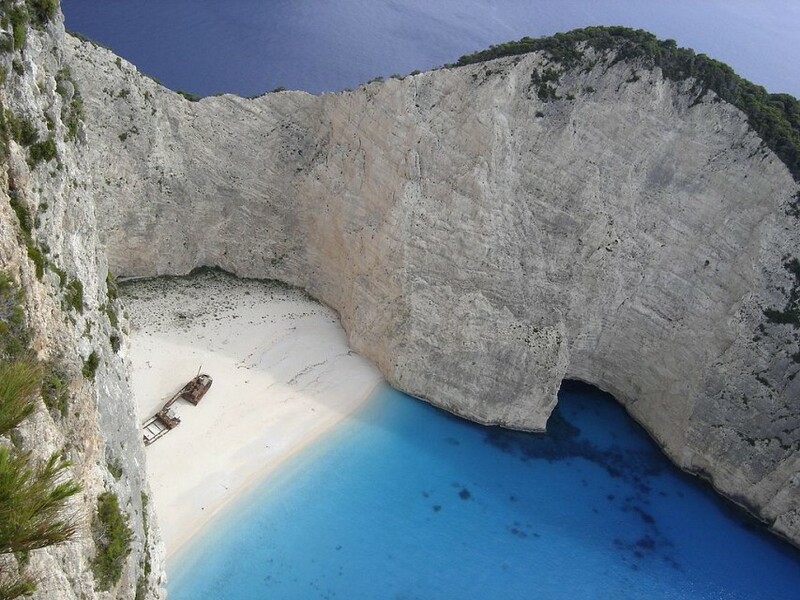 With plenty of stunning island destinations, Greece is a great holiday choice. 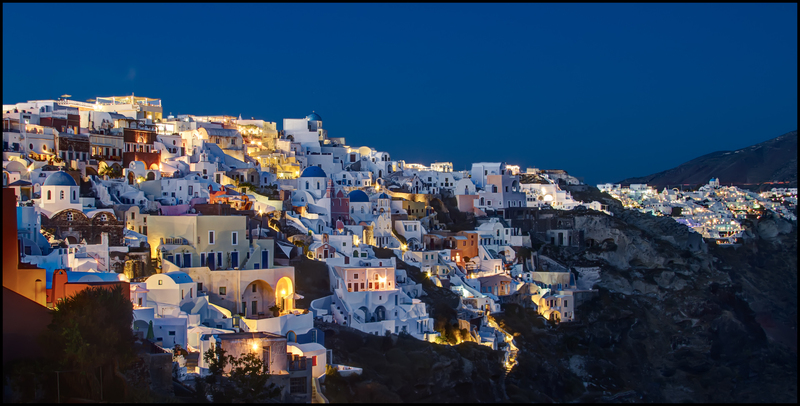 From picturesque volcanic island of Santorini, peaceful retreats such as Kefalonia and Ithaca, to cosmopolitan Mykonos, renowned for its vibrant nightlife. 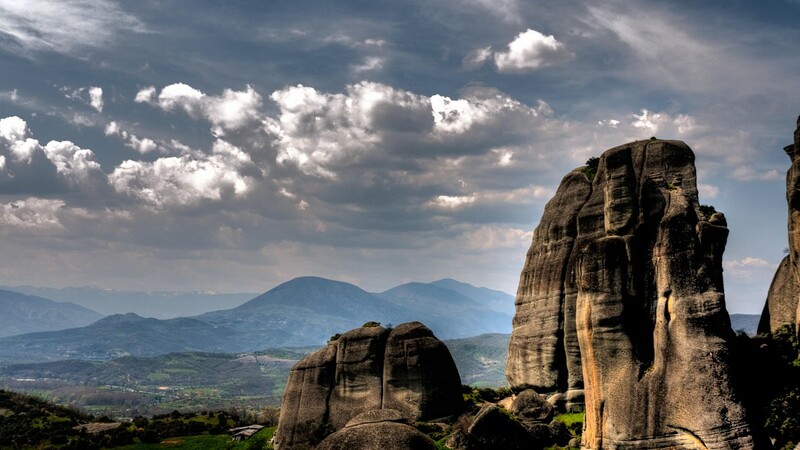 Believed to be the home of the gods, Mount Olympus is the highest mountain in Greece and offers amazing hikes. Although few people think of Greece as a winter destination it's also a great destination for skiing and snowboarding. The two of the most popular mountain ski resorts are Arahova and Kalavrita. The first settlement in Ancient Greece dates from the Paleolithic era. During the Bronze Age, Greece was a birthplace of three great civilizations: the Minoans, the Mycenaean, and the Cycladic civilization. By the 800 BC Greeks had organised themselves into independent citizen states known as “polis” and each polis had its own laws, dialect, currency, and government. This period is known as the Archaic Age. The 5th and 4th centuries BC, known as the Classical Period, were times of the cultural and political predominance of Athens; so much that the second half of the 5th century BC is also known as the “Golden Age” of Pericles. The Peloponnese War that followed in 404 BC led to the decline of the glorious classical era. In 338 BC the city-states of Greece were conquered by Philip II of Macedon. After Philip II’s death, his son, Alexander the Great, kept Greece and then conquered the Persian Empire before dying in 323 BC. Greece became a part of the Roman empire in the 2nd century BC. In 324 AD the Roman Emperor Constantine split the empire into two halves, the eastern half centered on Greek Byzantium, renamed Constantinople. In 1453 the Turks invade and gain control of the Greek Byzantine Empire. Greece was a part of the Ottoman Empire for almost 400 years, until the War of Independence which started in 1821. German occupation of Greece in the World War II ended in 1944, but a bitter civil war breaks out between the communist and government forces. In 1967 the monarchy ended, and since 1975 Greece has been a democratic republic. 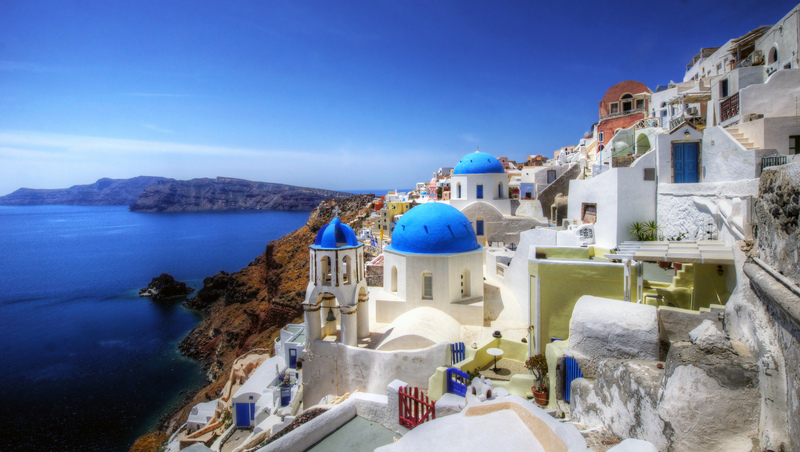 Greece is a country that has something for everyone, from long beautiful sandy beaches, azure Aegean waters; blue-domed churches to water-sports, plenty of options from gentle strolls to long-distance mountain paths; family-run taverns, all-night party towns; and ancient mythology. The country has many historical places to offer; Athens has some great museums, Agora is truly charming and you can explore some amazing ancient ruins in Delphi, Sparta, Olympia, and Crete. 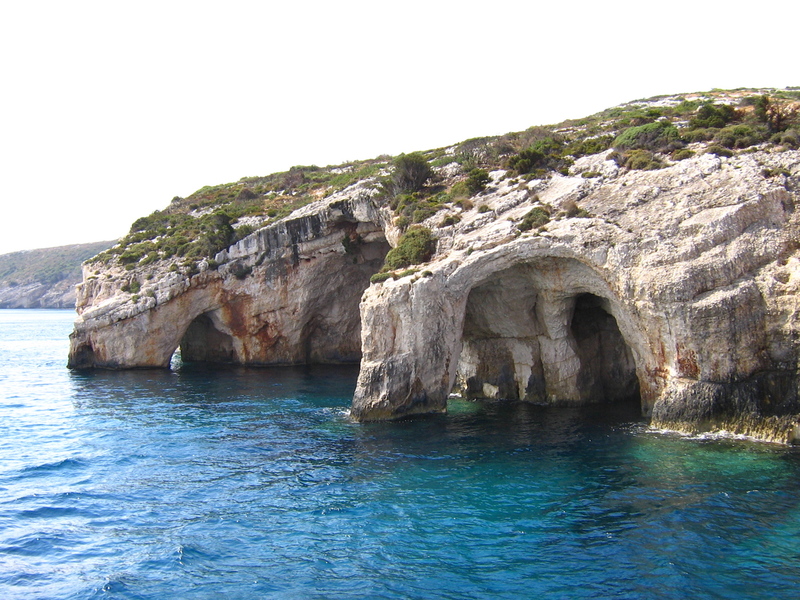 The Ionian Islands are located along the west coast of Greece, in the Ionian Sea. 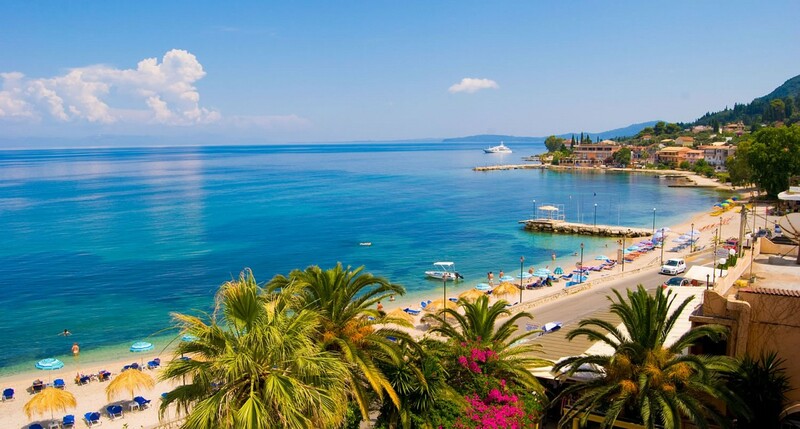 The islands of Corfu, Kefalonia; Zakynthos, Lefkada; Ithaca, Paxi; and Kythira are well-known for their beautiful sandy beaches, flourishing greenery, Venetian style architecture, and Italian-inspired delicacies. The most popular holiday destinations are cosmopolitan Corfu, Zakynthos with bustling resorts, a laid-back Kefalonia, and much less touristy Lefkada with some of the best beaches in Greece. 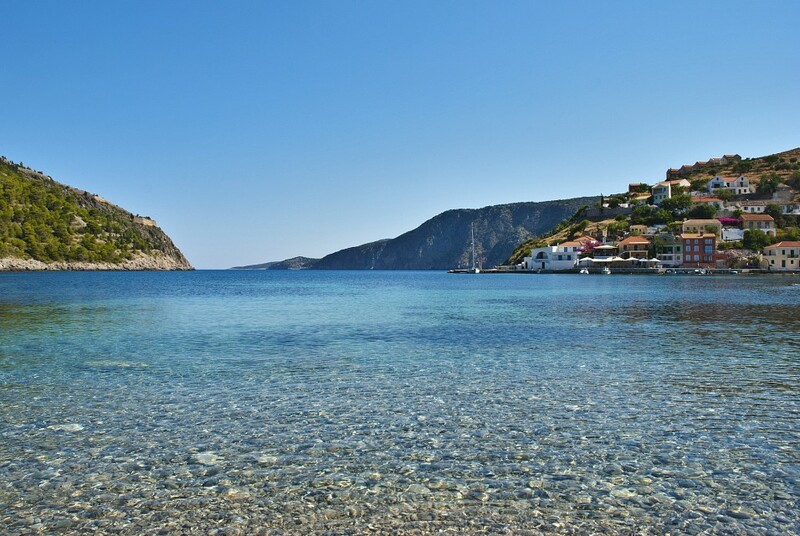 However, traditional Ithaca, the legendary kingdom of Odysseus, is simply stunning and should not to be missed. Central Greece is a mainland region and it stretches from the Gulf of Corinth in the south to Mount Olympus in the north. The region is rich in ancient sights and monasteries, from the famous ancient oracle at Delphi, the legendary city of Thebes; the wooded gorge Vale of Tempe, the Monastery of Osios Loukas with some of the finest Byzantine mosaics in the country to Meteora with its towering rock formations and monasteries dating from the 14th century. Mount Parnassus rises above the ancient site of Delphi and is a popular winter destination with ski slopes and plenty of accommodation in the surrounding villages. 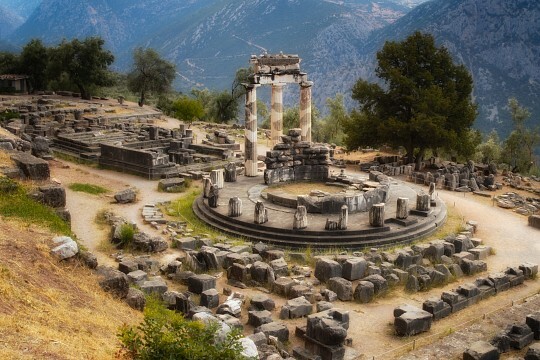 Delphi, the home of famous oracle in antiquity and one of the most important archaeological sites of the country, are one of the must-sees in Greece. Along the Sacred Way that leads to the Temple of Apollo are several treasuries that once held sacred offerings. Stunning views can be enjoyed from the wonderful 4th-century BC theater and the ancient stadium is the best preserved in all Greece. The archaeological site is located on the slopes of Mount Parnassus and easily accessible from Athens or Patras as a day trip. Attica, a peninsula jutting into the Aegean Sea, has plenty to offer. From numerous archaeological sites and museums to art galleries, theaters, and festivals. 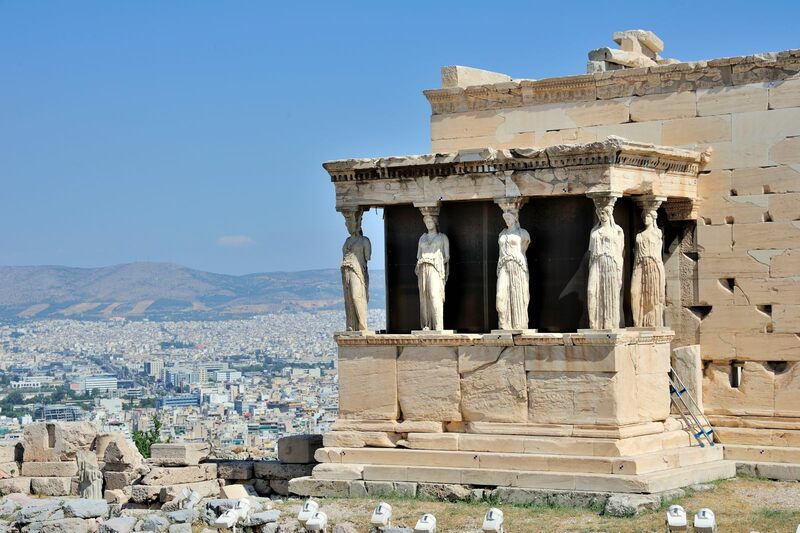 Cosmopolitan Athens, the capital city of Greece the birthplace of Democracy, with the Acropolis, Plaka, and and plenty of museums is a must-see. A short drive away from the busy center of Athens the Poseidon Temple at Cape Sounion offers one of the most romantic sunsets and the Saronic Gulf islands of Aegina, Hydra, Poros, and Spetses are perfect for day trips. Athens, the lively Greek capital, is home to more than a third of the Greek nation’s population. Explore the city’s famous hilltop Acropolis, home to the majestic fifth-century BC Parthenon, wander around Athens’ oldest residential quarter Plaka and stroll along the most stunning pedestrian promenade linking the most significant ancient sites. And don't miss the climb up Mount Lycabettus with an awesome view across the Attica basin and the Aegean. Northern Greece, once home to Philip II and his son, Alexander the Great, is often overlooked by tourists. Although, it has many cities, natural attractions, and cultural heritage to discover. 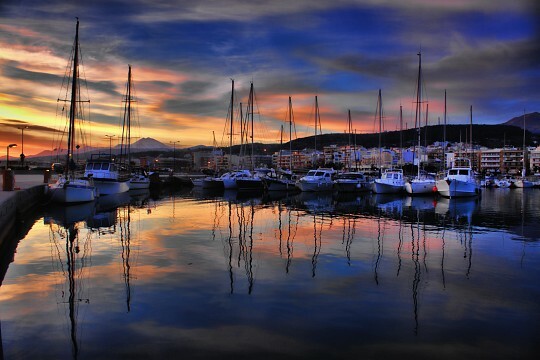 Its major city, Thessaloniki is the second-largest city in Greece and with its elegance and style is worth a visit. The most popular tourist destination is Halkidiki made up of three 'fingers' jutting into the Aegean Sea - Kassandra, is the busiest and the most visited, while Sithonia, is considered the most beautiful and unspoilt. 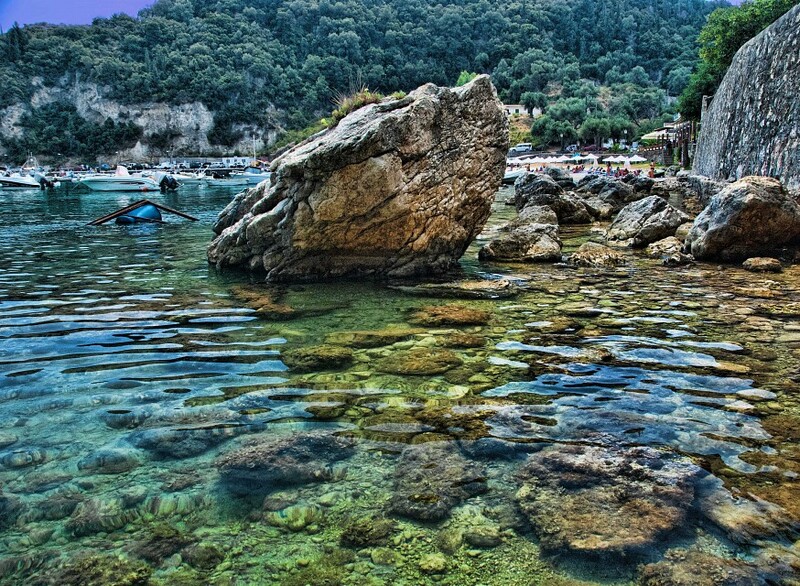 The eastern peninsular, Mount Athos, also known as the “Holy Mountain”, is a UNESCO World Heritage site. One of the most beautiful cities of the region is Edessa, with its picturesque Old Town, lovely architecture, and its impressive waterfalls will charm you for sure. 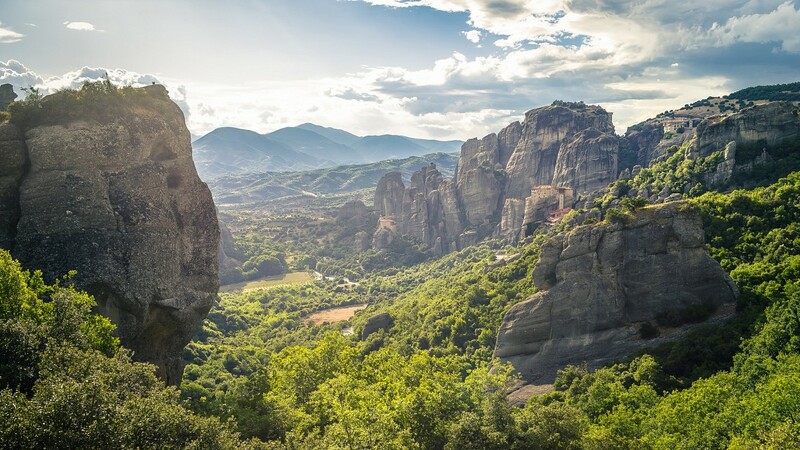 And if hiking is your thing, a visit to Northern Greece isn't complete without going for a hike to the top of Mount Olympus, the home of the gods in Greek mythology. Thessaloniki offers plenty to see and do. It has a perfect combination of bustling modern city, charming old town, rich historic heritage, and delightful waterfront cafés, and taverns. The city is often referred to as the country's cultural capital. The White Tower, located on the waterfront, is the symbol of the city and the most famous landmark from Ottoman times, offering excellent views from the top. Beaches can be found south of Thessaloniki, offering a pleasant change from the bustling city. This southern peninsula, divided from the mainland by the Corinth Canal, is home to a world-famous ancient sites, from once-powerful city states of Sparta and Corinth, Bronze Age fortifications of Mycenae, Epidaurus with the unique theater to Ancient Olympia, the home of the Olympics and even the entrance to Hades. And the spectacular scenery, with sweeping sandy beaches, lush gorges, and forested mountains is just equally impressive. The imposing mountains are perfect for outdoors, from hiking to biking. Worth a visit is mountainous Arcadia with its perched villages and gorge-side monasteries. Peloponnese - Greece. Photo by Giovanni C.
The famous Corinth Canal, cut through solid rock, was built in the late 19th century. The 6.3-kilometer-long and 75 feet wide canal connects the Gulf of Corinth with the Saronic Gulf in the Aegean Sea. If you are travelling by car, the old national road passes directly over the canal - the view is impressive and it is fairly easy to park. The Corinth Canal is still in use today, though many newer and larger ships are too large to pass through. 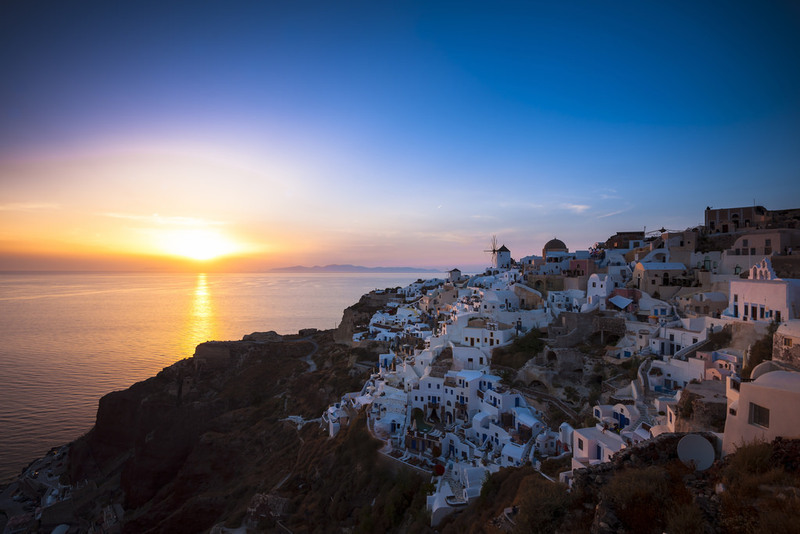 The Cyclades, located between Athens and Crete, are the picture-perfect islands with stunning white-washed houses, windmills, blue-domed churches, and a glimpse of ancient history to amaze, surrounded by deep ink blue sea. Most of the islands are situated close by each other and therefore perfect for 'island-hopping'. Each island in the Cyclades differs significantly from its neighbors, from volcanic Milos and Santorini, lively Ios; laid-back Folegandros, religious Tinos; unspoilt Small Cyclades, to Naxos with fabulous sandy beaches. 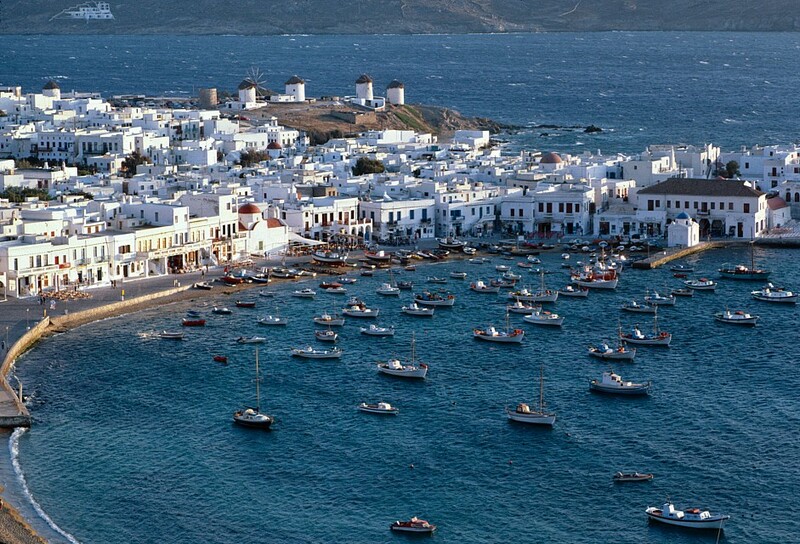 Paros boasts a mix of the old and new, with an excellent selection of restaurants, bars and shops. For the ultimate party experience hop over to the vibrant and glamorous Mykonos. Be aware, Cyclades tend to be very crowded with visitors, especially in high summer. Santorini is the most southern island of the Cyclades and surely one of the most beautiful of all the Greek islands. The island will charm you with its white-washed clifftop villages, blue-domed churches, and steep volcanic cliffs that drop to stunning turquoise waters. Perissa and Kamari are two of the most popular beaches on Santorini, the black-sanded shore hosting a selection of taverns and bars. 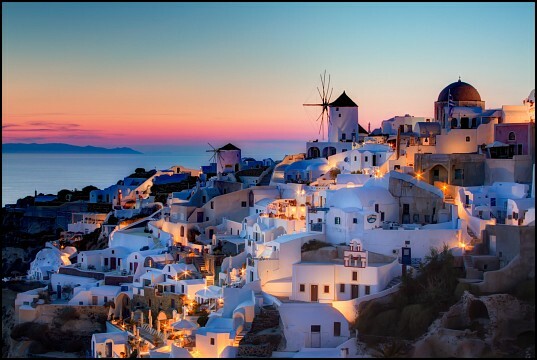 And the northern town of Oia is the best place to see the island’s famous sunsets. Crete, the most southerly and the largest of the Greek Islands, has much more to offer besides beaches. From picturesque villages, charming old town quarters, famous archaeological sites, to impressive mountain areas barely touched by tourism, gorges and rivers. 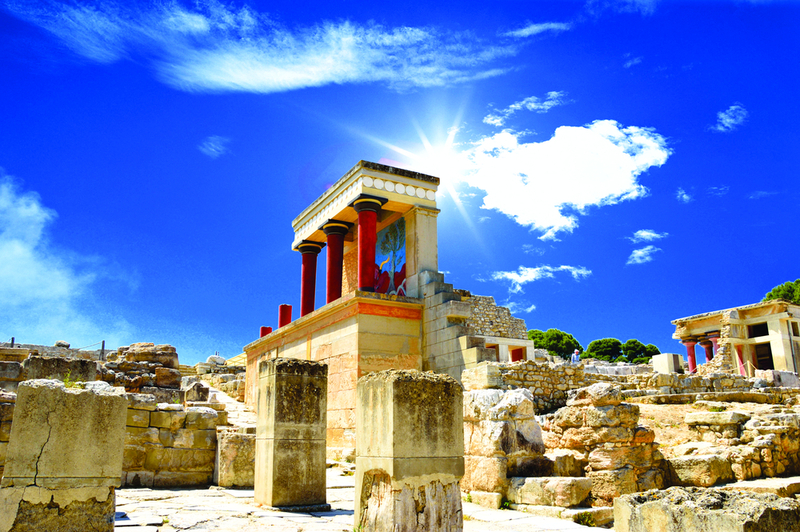 The charming Minoan Palace at Knossos should not to be missed. 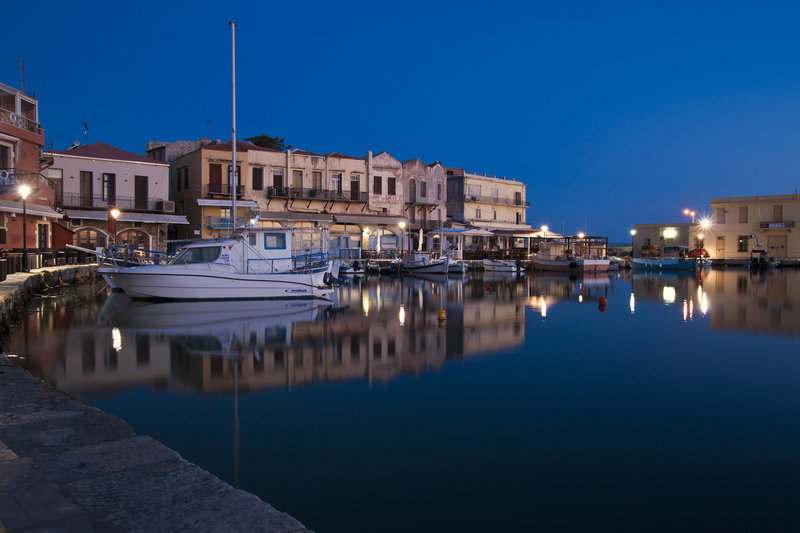 Hersonissos, Chania; Malia, Agios Nikolaos; or Agia Marina are great for those who enjoy the buzz of a busier resort. If shopping is your thing, the capital of Heraklion is full of winding cobblestone streets that will keep you occupied for days. The quieter, less touristy resorts and villages lie along the south and west coasts. The island is also home to Europe’s only palm-tree forest beach. The Dodecanese islands are located at the eastern edge of the Aegean Sea, close to the borders with Turkey. The footprints of Romans, Turks, and Venetians are left in picturesque temples, shady lanes, tall houses, castles, and fortresses. 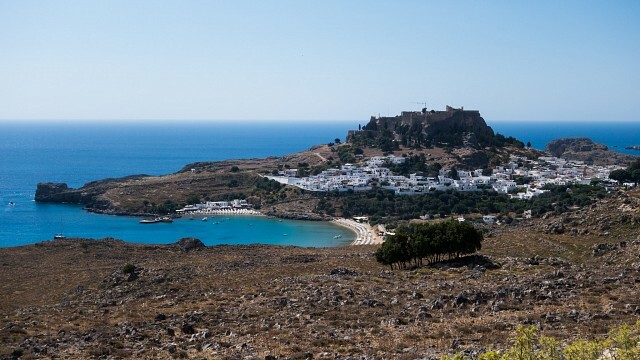 Each island has its own charms, while cosmopolitan Rhodes, quiet Karpathos, and the birthplace of Hippocrates, Kos, are among the most popular. 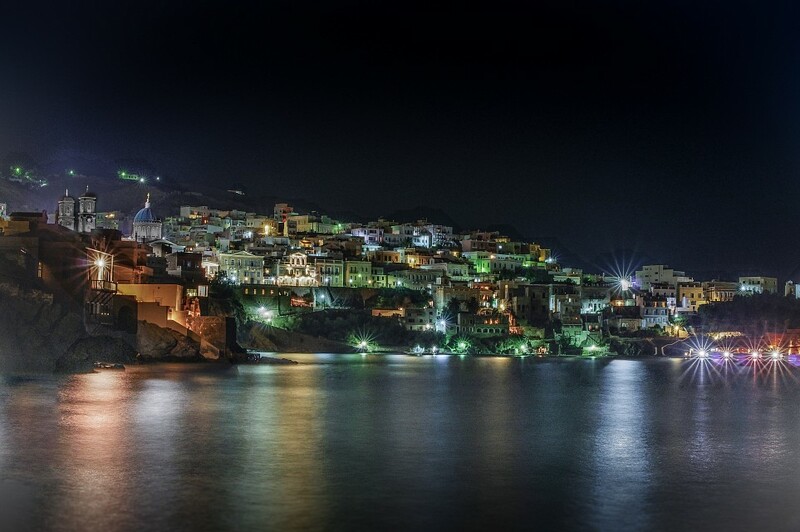 Nissiros, Symi, Tilos, Astypalaia, and Halki are still kept away from the massive tourism. If climbing is your thing head to Kalymnos. Daily trips to Turkey are very popular among these islands as many of them are just a few kilometers from the Turkish mainland. Rhodes, the largest of the Dodecanese Islands, has a pleasant mix of long sandy beaches, medieval architecture, and lively nightlife. Be sure to make time to soak up the medieval beauty of Rhodes' Old Town with impressive walls, a mighty castle and elegant stone mansions, the lovely Lindos village with the Acropolis on top and the serene Valley of the Butterflies. With approximately 300 days of sunshine a year is a perfect holiday destination at any time of the year. The Aegean islands, located north of Dodecanese, have an appealing, authentic, Greek charm. Each of the islands boasts surprisingly varied landscapes and attractions. Traditional villages, hot springs, endless beaches and delicious local cuisine are perfect for travelers seeking relaxation and tranquility. The most popular islands are: Lesvos, Greece's third-largest island renowned for its ouzos, Thassos with its sandy beaches; mountain villages and minor archaeological sites, the famous mastic-scented island of Chios; and the birthplace of the Greek philosopher and mathematician, Pythagoras of Samos. 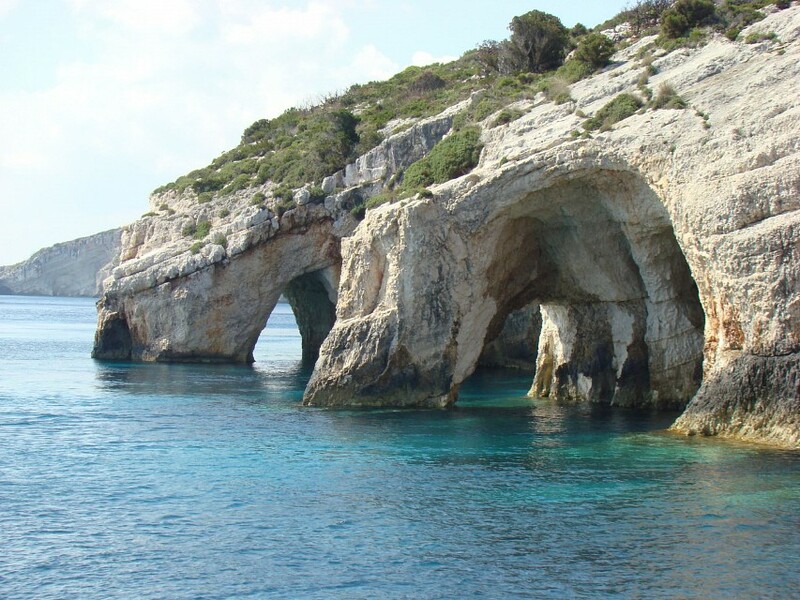 The Sporades Islands are famous for their relaxing atmosphere, crystal clear waters, and beautiful beaches. Located between the Greek mainland and the islands of North Eastern Aegean, consist of 24 islands, but only four of these are permanently inhabited: Skiathos, Skopelos, Skyros, and Alonissos. Skiathos is the busiest of the islands, while Skopelos have more family atmosphere. Alonissos and Skyros are much quieter, more remote and less developed. 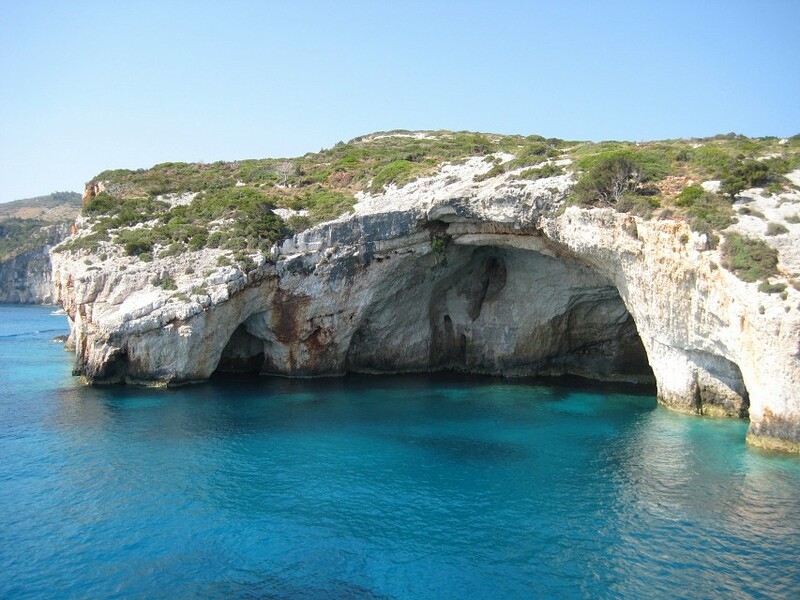 The a lesser-known Sporades Islands are also home to the National Marine Park of Alonissos and the endangered Mediterranean Monk Seal. A little further south, the secon- largest island in Greece, Evia, has a little bit of everything - from gorgeous beaches, lush greenery; castles, monasteries; thermal springs to countless trails for hikers and nature lovers. Greek is the official language in the country. Although not officially recognized, minority languages spoken in the country include Turkish, Macedonian, Albanian, and Bulgarian. Greeks are extremely warm, welcoming and hospitable people. Much social life takes place within a close circle of family and friends. Family is a very important part of life in Greece and children often live with their parents even after they get married. The extended family, and the obligation placed on family members to provide mutual support, is also very important to a Greek person. Elders are highly respected, and children care for their elderly parents. Men consider it a personal honor and responsibility to care for their family. Most of the people are Orthodox Christians. Younger people are not so devoted to religion as their parents and grandparents, yet most will still turn to the church to observe such important rituals such as weddings and funerals. Easter is the most important religious and family festival, with many people returning to their native villages for the traditional festivities. The Greeks are known for their friendliness and openness to meeting new people. Don’t be surprised at being asked personal questions, even on short acquaintance. If you are invited to a Greek home be aware that arriving 30 minutes late is considered punctual and you should bring a small gift, usually flowers, wine or cakes from the local bakery. It is important that you make a good impression with all relatives, as the general opinion of the family holds a great deal of weight. 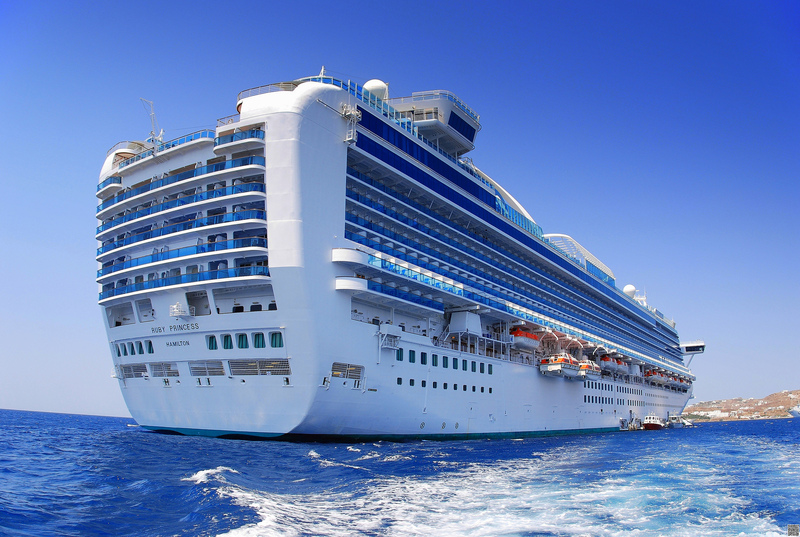 The economy of Greece is based mostly on tourism, merchant shipping, and agriculture. The global financial crisis in the 2009 hit Greece particularly hard and from 2010 onward the recession intensified considerably due to country’s fiscal imbalances. 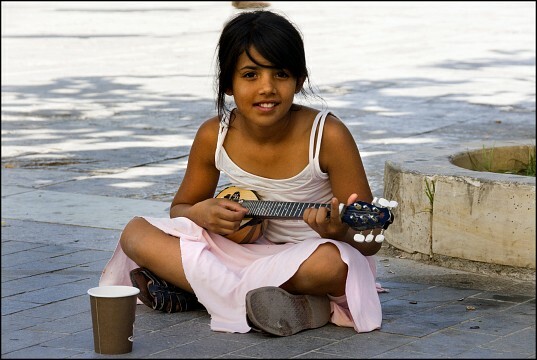 Poverty is a growing problem for Greece as mass unemployment, high taxes, and the rise in the cost of living. Despite the recent signs of a turnaround, the depressed economic conditions still prevailing throughout the country and the very high rate of unemployment giving rise to worrisome social and political tensions. Youth unemployment, which exceeds 50%, is one of the major problems arising from the domestic economic crisis. From simple Greek dishes to gourmet plates of the international cuisine, the choices are numerous and diverse, for every taste and every budget. When in Greece, be sure to sample the vast array of fresh cheeses and 'tyropita'; a delicious cheese pie. Stay away from places that are overtly commercial and go to the family-run taverns. A little farther wandering around the narrow streets of most cities will reveal the places that the locals frequent. If mother is in the kitchen you know you're in for a treat. 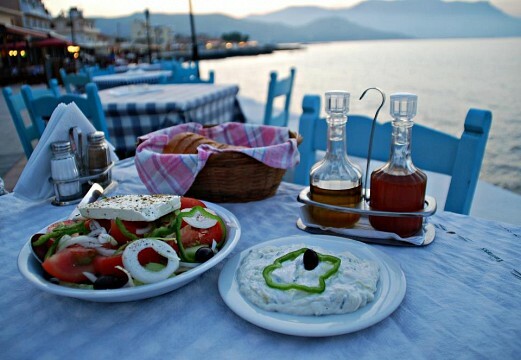 Sample a traditional Greek dish along with a glass of Ouzo; an anise-flavored aperitif. Greek food still follows the seasons. At the tavern, local lamb, chicken and pork dominate, though fresh fish, octopus and calamari are also a favorite. The meat is usually prepared roasted in the oven with lemon, garlic and oregano, or as a stew in tomato sauce. You’ll find Greek favorites like 'tzatziki'; a sauce made of strained yogurt, mixed with cucumbers, garlic and olive oil; Greek salad; 'moussaka', a three-layer dish baked in the oven, which is based on sautéed slices of eggplant or potato, along with minced meat, topped with Bechamel sauce; and 'dolmadakia', stuffed vine leaves on most menus. Fresh bread is always served at the dinner table. Greeks consume large amounts of olive oil and have the highest consumption per person in the world. You can accompany your meal with either locally produced wine or Mythos beer. Souvlaki, grilled meat on a skewer; and gyros, slices of meat wrapped in pitta bread, with tomato, onion, french fries, and lashings of tzatziki are Greece’s best and most popular fast food. If you have a sweet tooth make sure you try a vast array of syrup-drenched, Turkish-inspired desserts such as baklava and slices of chocolate-coated cakes, alongside a strong cup of Greek coffee. Transportation has become much more reliable in large cities and runs usually on schedule. However, delays cannot be avoided at certain times, due to traffic conditions and other unpredictable circumstances. 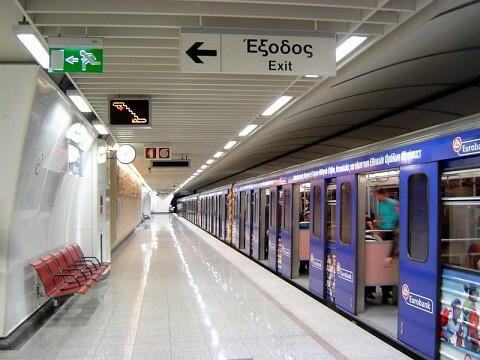 Strikes affecting air, sea and rail transport, as well as taxi services happen regularly in Greece. If you are affected by transport disruptions, you should monitor the media and be prepared to change your travel plans. Greece's main international airport is Athens' Eleftherios Venizelos Airport. Most of Greek airports on the islands mainly operate in summer and are accessible on connecting domestic flights from Athens or Thessaloniki with Aegean Airlines, Olympic Air, Athens Airways, or Sky Express. Island flights are often full in peak season, so make a reservation in advance. The railway network is run by OSE. Trains are slower than equivalent buses, however, they can be much cheaper. 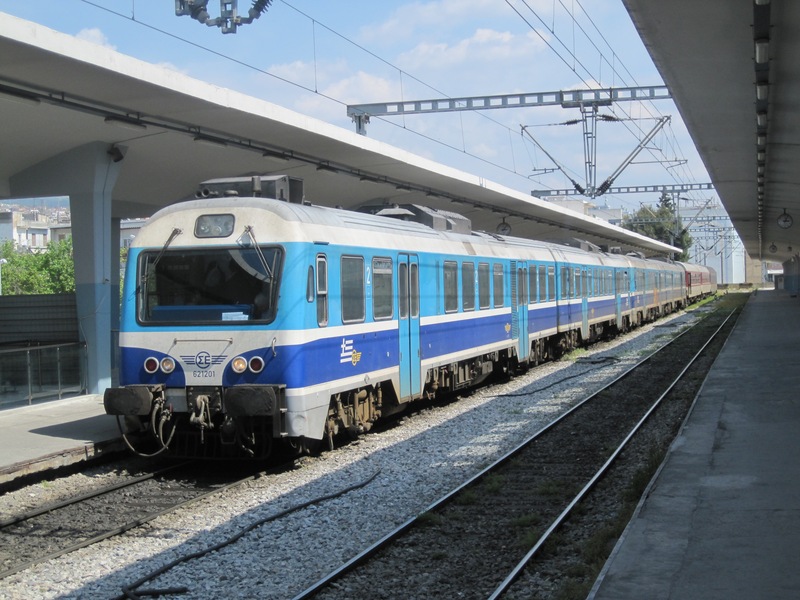 There are two main lines: from Athens to Alexandroupoli via Thessaloniki and the Peloponnese network which is a useful way to get from Patras to Athens. Trains to northern Greece leave from the Larissa station and trains to the Peloponnese leave from the Peloponnese station. For getting around mainland Greece and Athens, you'll find an extensive and efficient network of buses operated by KTEL. Buses depart from two major stations in Athens, Kifissos, and Liossion Stations. On islands there are usually buses to connect the port, towns, and beaches. 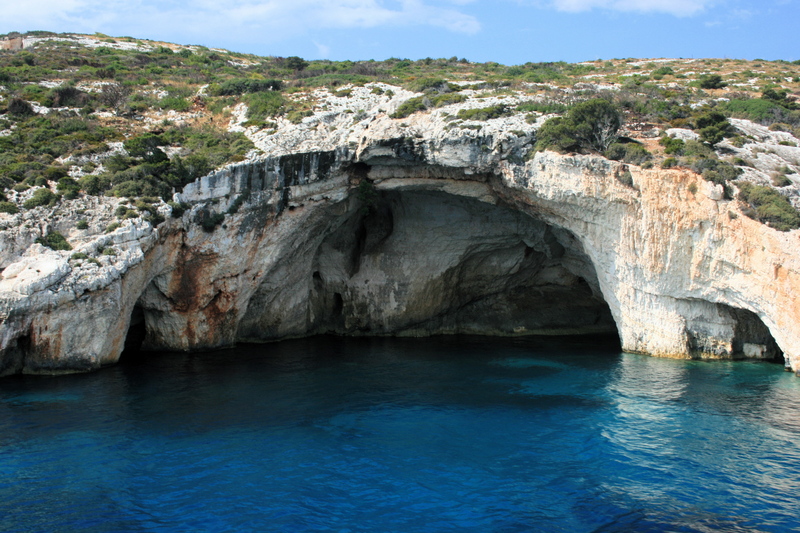 The islands of Corfu, Kefalonia, and Zakynthos can also be reached from Athens by bus; the fares include the price of the ferry ticket. In Athens and Thessaloniki, avoid riding city buses during rush hour. Driving in Greece is a bit of an adventure, but it's the best way to see the country at your own pace. You will find no end of car-rental agencies throughout Greece and renting a car or a scooter is the easiest way to get around and is relatively affordable as well. Rental rates vary widely, so ask around. Certainly in Athens and several other large cities, you may prefer a taxi or a public transport. 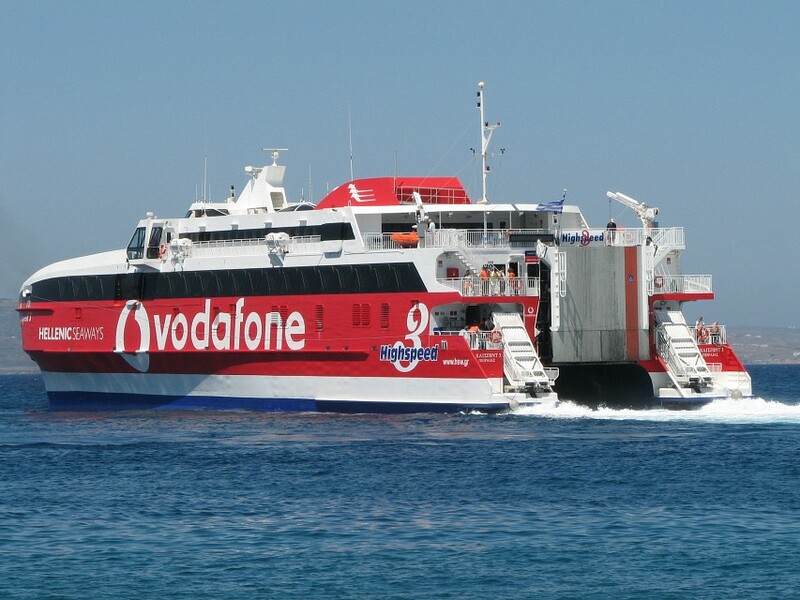 There are a number of ferry companies, with several varieties of sea-going vessels that range from traditional large ferries carrying both passengers and vehicles to faster-moving catamarans and hydrofoils. If you're traveling to the Ionian Islands off the west coast of Greece, most ferries leaves from Patras or Igoumenitsa. In the peak season, tickets are best bought at least a day before departure. There's regular service from Piraeus to Aegina, Poros; most of the Cyclades, Crete; Hios, Lesvos; Samos, Kos; and Rhodes. However, for the Cyclades, crossing is shorter and less expensive from Rafina port, an hour east of Athens. There is also frequent ferry service between several Italian ports and Patras. 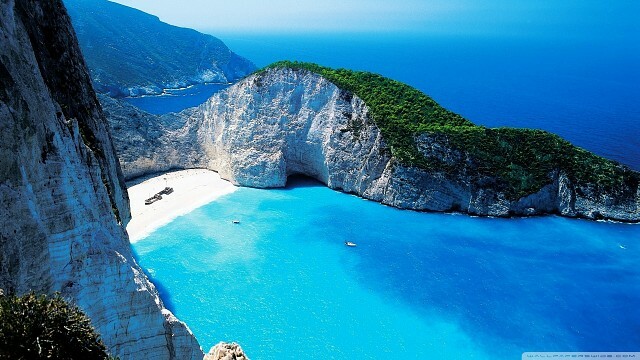 Greece has a warm Mediterranean climate with dry and hot summers. Winters are mild in the south but much cooler in the mountainous north. There can be snowfall in some parts of the country during the winter months but this is mostly limited to the mountainous regions of the mainland. The sea is usually warm enough to swim from June through October. Athens & Epidaurus festival takes place from June to August. 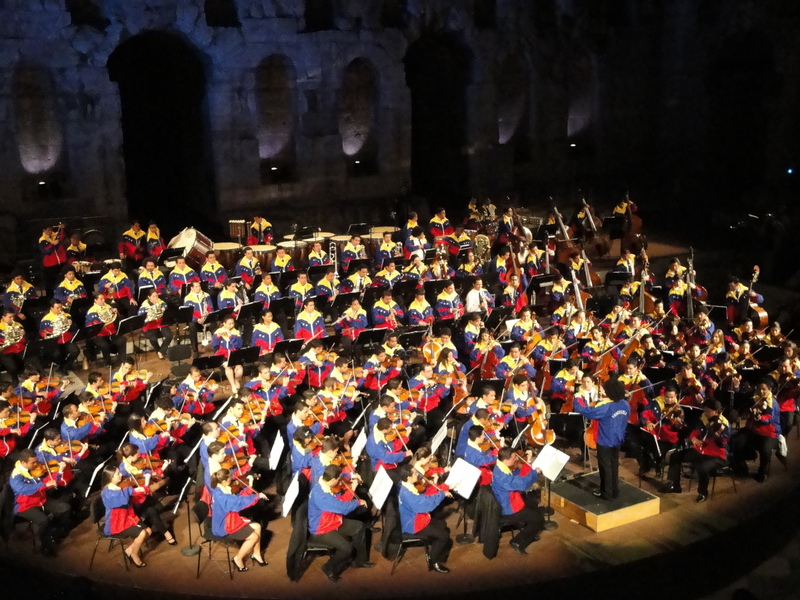 With the most famous ancient Greek theater, modern theater, traditional and contemporary dance, classical music, jazz and traditional Greek music is one of the most important cultural festivals in the country. Athens Technopolis Jazz Festival; in early June famous names of international and Greek jazz are presented. Kalamata Dance Festival takes place every July and offers a wide range of trends in contemporary dance. Sani Festival; running from mid-July to mid-August offers a unique combination of jazz, world music, Greek music and even Verdi. Thessaloniki International Film Festival takes place in November, when Greek and foreign film makers arrive in large numbers to compete on their art. Rockwave Festival; a rock festival is held every July a few kilometers outside of Athens, and is one of the most famous music festivals in Greece. Note that festivals in Greece change their dates due to many factors. So, before planning a trip around a festival, verify the festival dates on the festival’s website or with a local tourist information office. Although crime rate is on the increase the last years, Greece is still a very safe country to visit. Follow general travel safety tips, leave your valuables at home, and keep an eye on your belonging. Crimes against tourists such as pick-pocketing and purse-snatching occur at popular tourist sites and on public transportation; especially the Metro and in some shopping areas in and around Thessaloniki. Some areas of Athens are best avoided at night. 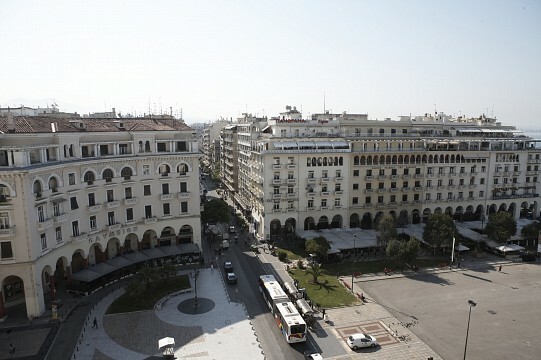 Glyfada Square, Kolokotroni Square, Omonia Square, and Vathi Square are all areas with high crime rates. Due to an increase of card skimming at ATMs throughout Greece it is recommended that you use one located inside a bank or hotel. Do not use ATMs located in dark or isolated areas. In most cities and tourist areas, most of the Greeks know at least one foreign language. However, do learn a few phrases. ‘Kalimera’ (good morning), ‘kalinihta’ (good night), and ‘efharisto’ (thank you) goes a long way. The element of uncertainty inherent to bus and ferry timetables is part of the experience, and your trip will be much less stressful if you don't plan too much in advance and allow yourself to ‘go with the flow’. Greece gets very hot in the summer, so make sure you stay hydrated, wear sunscreen with high sun protection factor and a hat. If you prefer things a bit cooler, spring and autumn see plenty of sun, but temperatures are a bit more comfortable. If you want to visit the churches or monasteries you must be properly dressed, so make sure you have the shoulders and knees covered. Tap water is generally drinkable in much of Greece but not always in rural villages and on some islands. 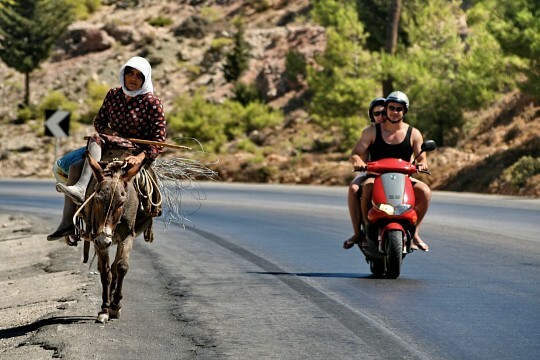 Be careful on roads as Greek drivers often like to drive fast and not always in the lane you might expect.